Today sees the publication of my book Understanding Trans Health. I’m really happy to be finally sharing it with the world. Yesterday I hosted a launch event at the University of Leeds. I felt really strongly that this was an opportunity not only to celebrate the book, but also to explore some of the other fantastic work happening in the field of trans health. One of the things I write about in the penultimate chapter of Understanding Trans Health is the importance of collaboration and building one another up – I wanted to help start a conversation that encompassed more than my own work, and give something back to others from whom I have learned so much. My own talk offered a broad overview of my book’s central ideas and themes, as well as some illustrative examples from research participants, healthcare literatures and resources. I also touched upon what it means to become an “expert” from my own experience as a trans academic, and the sometimes severe challenges that come with this. Several attendees tweeted summaries of my talk, which I have linked below.One attendee also very kindly filmed sections of my talk, so these may be uploaded to the Internet at a later date. You can read more about the event on the Twitter hashtag #transhealthleeds. But ultimately, to learn more about my work, I encourage you to buy the book! 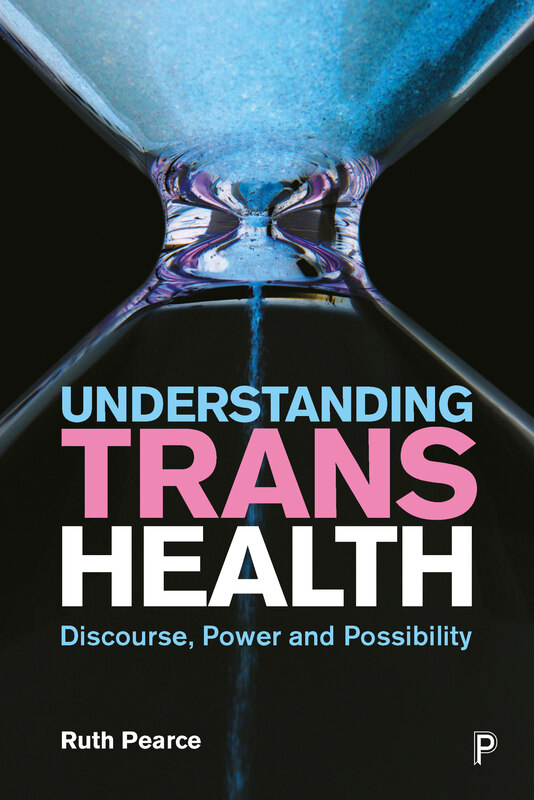 The success of Understanding Trans Health will depend in part on word of mouth, so if you find the book interesting or useful, please do write a review to share your thoughts! Similarly, if you work or study at a university, please do talk to your subject librarian to see if they can order in a copy. As for the event, I would like to offer a huge amount of thanks to everyone who came, as well as to the School of Sociology and Social Policy at the University of Leeds for supporting the event, and to Sally Hines for her warm contributions as a fantastic chair. My research monograph Understanding Trans Health will be published in just over a month! To celebrate, I will be holding an event on Tuesday 5th June at the University of Leeds, where I will be discussing the book and the findings it reports. I have also invited a number of people I admire enormously to talk about what they’re working on at the moment. The event is FREE but places are limited, so please do register if you want to come! Accessing trans healthcare: what role for medical law? The event will be chaired by my colleague Professor Sally Hines. There will also be plenty of time for questions and discussion. The event will be followed by a reception with free drinks and nibbles. Trans Genealogies: special issue articles now online! I’m delighted to announce that the articles written for the Sexualities special issue ‘Trans Genealogies’ – edited by myself, Deborah Lynn Steinberg and Igi Moon – have now been pre-published on OnlineFirst. While the creation of this special issue has been a particularly long and difficult affair, it was really fantastic to work with such interesting and thought-provoking articles. I’m really excited that we can now finally share them with the world. The articles will be formally collated and published in a single issue of Sexualities in a few months’ time. This will be available both online and in print format, and I’ll no doubt be using that as an opportunity to once again encourage people to read them. enactment that we nevertheless take for granted. through the subtle contingencies of repetitious reproduction and metacommentary. and allowing new possibilities to emerge. possibilities ‘that do not involve straightening or alignment’. Igi Moon also looks predominantly at the experiences and narratives of trans youth in ‘‘‘Boying’’ the boy and ‘‘girling’’ the girl: From affective interpellation to trans-emotionality’. In their article, Moon argues that emergent trans discourses offer an important alternative to binary notions of emotionality. Moon describes ‘trans-emotionality’ as a pluralistic approach to understanding gendered feeling that has been made possible through non-binary and genderqueer peoples’ responses to experiences of sexual liminality and dis-orientation. our accounts of trans possibility. An optimistic account of such possibilities is provided by Ruth Pearce and Kirsty Lohman. In ‘De/constructing DIY identities in a trans music scene’, the authors draw upon a case study of an ‘underground’ scene in the UK to explore how trans discourses and everyday political approaches can feed into processes of cultural production. This offers an insight into what possibilities might emerge and flow from ‘trans’ as a pluralistic approach to gender and identification. complex post-colonial impact of Western discourses and political interventions. I hope readers find the special issue articles as fascinating, challenging, and useful as we did. Enjoy! Experiences of co-authorship often remain strangely silent, oddly invisible. In academic publishing, co-authorship is common; and yet, how often do we think about whose voice we are reading, and how a collaborative narrative emerged? How often do we teach students to write together rather than apart? What visions do we have of co-authorship? I don’t think we talk enough about these experiences and issues. This week, an editorial I co-authored for the forthcoming Sexualities special issue ‘Trans Genealogies’ was published online. For me, this short piece carries a great deal of emotional weight. It was written under pretty unique circumstances, with my fellow author and former PhD supervisor Deborah Lynn Steinberg close to death. In this sense, it was hardly a standard experience of collaborative writing. However, in discussing my experiences of this article and others, I hope to offer some insight into an oft-hidden process of co-authorship, while encouraging readers to maybe reflect on their own experiences of collaboration. Some co-authored articles owe their existence primarily to one of their authors. We might hope that this is the lead author, although this is not always the case. Last year, I contributed to an article on research ethics for the journal Transgender Health. This was an exciting collaboration and a very interesting experience, with an international team of authors working remotely through the Internet to pool our ideas and expertise. It was an honour and a privilege to work with Jaimie Veale, Asa Radix, Danielle Castro, Amrita Sarkar and Kai Cheng Thom, and I learned a great deal from their considerable expertise in doing so. However, at the core of the writing project was lead author Noah Adams. While myself and the other authors did put a great deal of work into the article, Noah initiated the collaboration, produced the original article draft, oversaw the integration of our respective contributions into the piece, and acted as the primary point of contact for our communications with the Transgender Health editorial team. It was only right that he was credited as lead author. On other occasions, I have seen how this kind of collaboration might be an exploitative one. During my time as a PhD student, I witnessed other postgraduates put this kind of effort into supposedly joint projects with their supervisors, only for the said supervisors to be credited as lead authors (or, on a depressing number of occasions, as the sole author). This was particularly disappointing in the context of social science subjects, where the presumption tends to be that the lead author did the majority of the work. I had a very different experience of collaboration with Kirsty Lohman. Our article on de/constructive trans DIY music scenes will also be included in the ‘Trans Genealogies’ special issue. We wrote together, in the same room; sometimes taking turns to tackle individual paragraphs, other times constructing sentences together with one of us sat at the keyboard and the two of us almost competing to find the next word. It was a real joint effort in which we both put an equal amount of energy into the work. I am named as lead author only because one of us had to be; at the time the article was accepted, we agreed that it was more beneficial to my career at that point in time than it was to Kirsty’s. Deborah related a similar history of writing collaborations with a close colleague and friend. She vividly described how she would furiously lay ideas down onto a Word document while her colleague paced the room impatiently, bursting with ideas of her own, before the two would swap places. Whole afternoons, whole days could be spent in fruitful (if sometimes fiery) joint authorship. There was no such option for the ‘Trans Genealogies’ editorial. The special issue was originally Deborah’s idea, a follow-up to our 2012-14 seminar series Retheorising Gender and Sexuality: The Emergence of ‘Trans’. 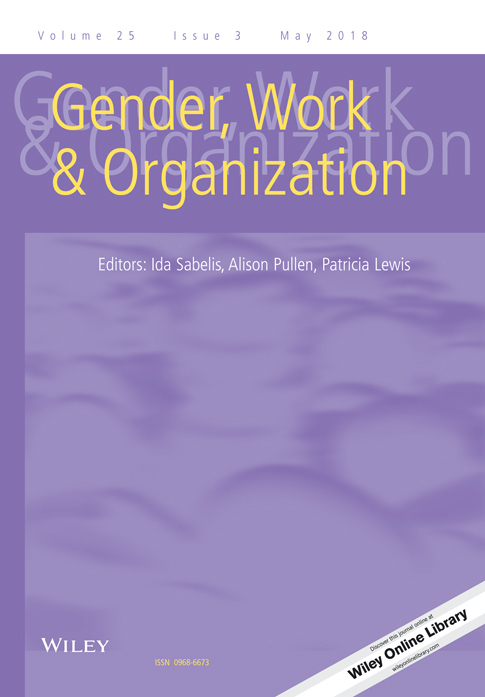 She pitched the series to the editors of Sexualities, wrote the Call For Papers, and provided extensive advice and support to authors who made contact prior to the January 2016 deadline. At the time I was happy for her to take the lead, as I had finished the majority of the data collection for my PhD and was focusing on writing up my thesis. The deadline came and went, but myself and fellow co-editor Igi Moon didn’t hear from Deborah for weeks, then months. As her cancer advanced, she was increasingly ill and unable to continue leading the editorial work for the journal. Eventually, Igi and I took over the editorial process, overseeing peer review and seeking to ensure that Deborah’s vision could be fulfilled. By January 2017 we had identified the seven research articles that would comprise the special issue, most of which were provisionally accepted or near completion. Unfortunately, it was also apparent that Deborah would not live to see the publication of the special issue. She was first house-bound, and then bed-bound. We visited her as often as we could, sharing stories from our lives and updating her on the progress of the issue. I had originally envisaged that Deborah would take the lead on writing the editorial, just as she originally took the lead on editing the issue more generally. By the time we had a firm idea of the issue’s contents, however, it was painfully apparent that this would be impossible. As it become increasingly clear that Deborah had just weeks (if not days) to live, I became obsessed with writing the editorial while she was still alive. I wanted it to be a true collective work, but how to do this when my collaborator could barely speak, let alone write – when this woman who had dedicated herself utterly to her work was finally unable to enjoy the intellectual pursuits that had been such a driving force in her life? In the end, I decided to revisit Deborah’s previous writings and reflections, the ones that had inspired and galvanised the editorial project in the first place. I poured over her notes from the Emergence of Trans series, the agendas and essays she wrote for individual events, her introductory talk for the ‘Trans in Popular Culture’ seminar. I met with Igi to discuss the contents of the special issue: the contributions of the individual articles, and their thematic place in the wider context of the issue and of the wider literatures to which they speak. We listed key ideas and phrases we want to incorporate into the editorial. I re-immersed myself in the literatures of transgender studies, thinking about recent trends and emerging concerns as well as longstanding debates and histories. I also thought about Sara Ahmed’s comments on the politics of citation, and committed to a centring of insights from trans scholars and/or scholars of colour. And then I sat down. And I wrote. After finishing the editorial, I visited Deborah one last time. I was excited to tell her that it was completed, and to explain how inspired I had been by working with her ideas, working with her words. But by this point she was no longer with us. Her body fought on for just a few more days while she restlessly slept. In retrospect, it’s a somewhat flawed piece. The editorial offers a very brief, broad summary of the context in which specifically ‘trans’ discourses have emerged and been contested. It was, in a sense, constrained through the need to address a set of themes originally outlined by Deborah, now a simultaneously absent and ever-present co-author. When I re-read the editorial, I do what perhaps every author does. I notice every awkward turn of phrase, every moment of repetition, every missing references (perhaps most prominent of these is Stryker, Currah and Moore’s piece ‘Trans-, Trans, or Transgender?‘, which I was unable to access through my institution at the time). Following Deborah’s death, neither Igi nor I had any appetite for further revisions. We sent it off to Sexualities, and thought little more about it. Yet, perhaps the brief, intense process by which the editorial finally came into being is one of its greatest strengths. I wrote it in a fit of passion, pulling together our collective ideas with a sense of deep love and purpose. In this sense, my commitment to the field, and to the wider promise of trans liberation, was one with my commitment to my fellow authors, my collaborators. And I feel it is a better piece of writing for that. I will be writing a follow-up piece about the broader contents of the special issue next week.